Car Accident? Experienced New Hampshire Attorneys are ready to help you now--call today! Car accidents are devastating, life-changing events. Your car has been damaged—possibly badly. You may also have suffered severe injuries. Lost work, lost wages, lost time go along with it. You may not know what to do next; many people don’t. A car accident is a complex situation with a lot of “moving parts.” But in New Hampshire, there are a few things you need to know about while you recuperate and work on getting your life back together. After your accident it won’t be long before you’ll get phone calls from the other party’s insurance company offering you a quick settlement, maybe even the same day. Rest assured any settlement they offer will be as little as they can get away with—they want to resolve your claim quickly and get it off their books. But if you can’t go back to work, or you need surgery and/or physical therapy to be functional again, taking that “quick check” means you won’t have the funds to cover any of them. Don’t sign ANYTHING before talking with an experienced New Hampshire car accident attorney. Once you accept their check and sign the papers, you’ll lose the right to additional money to pay for medical expenses, lost wages, car repair/replacement, as well as pain and suffering. Call us first. Even if you don’t have any obvious injuries from your car accident you should still visit your doctor or an emergency room right away. Some injuries, like whiplash and other soft tissue injuries don’t always show up immediately. Pain may not start for a week, or more after the accident. Without medical documentation an insurance company may decide you weren’t really injured in the collision so you’ll be unable to collect any compensation for your injuries. A picture is worth a thousand words.Making a case for injuries because of someone else’s negligence requires careful planning and documentation. If you’re able, or you have someone with you who can, take as many pictures of the accident scene as you can and save them somewhere that they can’t be lost (Google Drive, Dropbox, etc.). If you take pictures with your smartphone upload them immediately in case your phone is damaged or lost. The same goes for your own injuries. You will never be able to describe bruising as well as a picture can show it. Keep in mind that often times bruising gets more distinct days after the collision. When you’re home from the hospital and beginning the healing process, get started putting your case together. Collect police reports, medical records, repair documents, prescription records, X-Rays, and anything else relevant to your accident, and put them in a file folder or accordion file big enough to hold everything. Keep records of all conversations with insurance companies, including time, date, names, phone numbers, email addresses and job titles. When you’re ready to meet with a car accident attorney, having everything in one place will make things easier for you and for your attorney. New Hampshire has a three-year statute of limitations to file your case. That means you’ll have three years from the date of the accident to file, or you’ll lose your right to sue. It seems like a long time, but the clock starts ticking the day of your accident. Preparation for trial (if necessary) takes time. While you’re working on healing and recovery, you could miss the deadline if you’re not paying attention. File your insurance claims as soon as you’re able, so that you’ll have enough time to file a lawsuit if you need to. If you wait too long, the insurance company won’t take your claim as seriously, knowing you won’t have time to file suit. New Hampshire car accident law includes something called “modified comparative fault.” This means that if you’re partially at fault for an accident, you may be assigned a percentage. Any settlement you receive in a judgment may be reduced by that percentage. If you’re awarded a settlement of $100,000, and you’re determined to be 10% at fault, your settlement will be $90,000. If you’re found to be over 50% at fault, you may not receive any compensation. 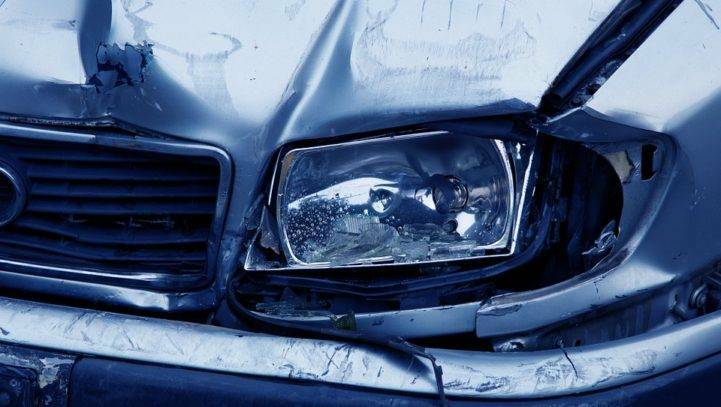 It’s critical to hire an experienced car accident attorney can negotiate best settlement. The goal of any insurance company is to make money, and not pay any claim, ever. Your claim may be denied, no matter how much evidence you have. We stand up to insurance companies to get you the compensation you need to heal and get back to your life. Insurance companies have strong attorneys on their side to defend them. Shouldn’t you have one too? Don’t go it alone—get help resolving your car accident case, and get the compensation you deserve. Cohen & Winters are the New Hampshire car accident attorneys who will hold the negligent party responsible. Our skilled staff will take care of tracking down records and bills so you can focus on getting better.Our goal is to help you get better and get back to your life, and make a difficult process as easy as we can. Contact us today at (603) 224-6999 (or use our contact form) to schedule a free, confidential 30-minute consultation to discuss your case.